So far we can render objects like cubes or spheres and make them look nice under lights. But we usually don’t want to render cubes and spheres, but crates and planets, dice and marbles. Consider a wooden crate. 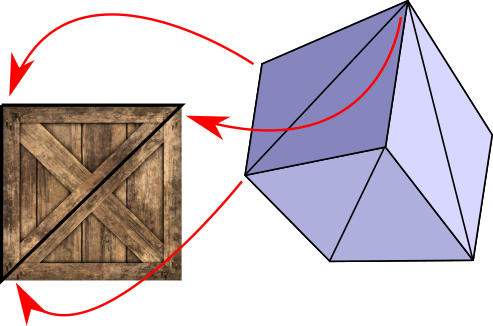 How do you turn a cube into a wooden crate? 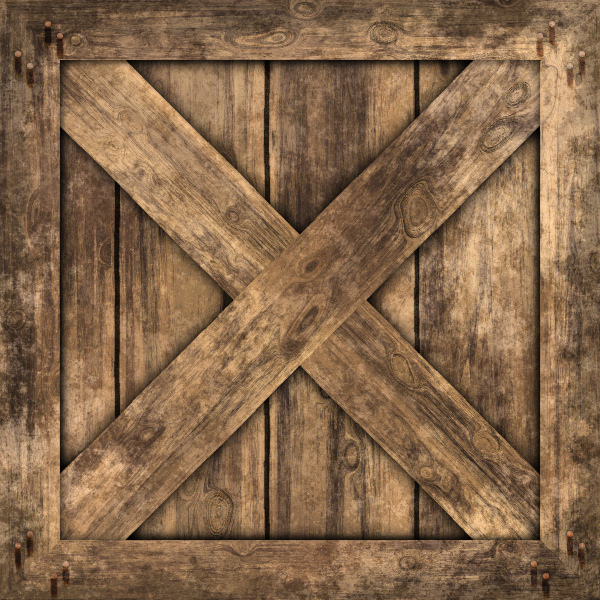 One option is to add a lot of triangles to replicate the grain of the wood, the heads of the nails, and so on. This will work, but it adds a lot of geometric complexity to the scene, with the performance hit it entails. Another option is to fake it: take the flat surface of the cube and just paint something that looks like wood on top of it. Unless you’re looking at the crate from up close, you’ll never notice the difference. Note that it’s perfectly possible to warp a texture or to use only parts of a texture by playing with the texture coordinates at each vertex. To define this mapping, we use a coordinate system to specify points in the texture; we call these coordinates \(u\) and \(v\), to avoid confusion with \(x\) and \(y\) which generally represent pixels in the canvas. We also declare that \(u\) and \(v\) are real values in the range \([0, 1]\), regardless of the actual pixel dimensions of the image used as a texture. This is very convenient for several reasons; for example, you may want to use a lower- or higher- resolution texture depending on how much RAM you have available, without having to modify the model itself. 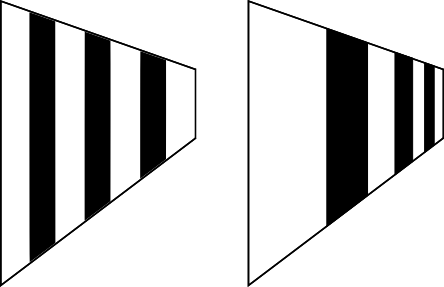 The basic idea of texture mapping is simple: compute the \((u, v)\) coordinates for each pixel of the triangle, fetch the appropriate texel (that is, texture element) from the texture, and paint the pixel with that color. A given pair \((u, v)\) in a texture of dimensions \((w, h)\) maps to the texel at \((u (w-1), v (h-1))\). …underwhelming results. 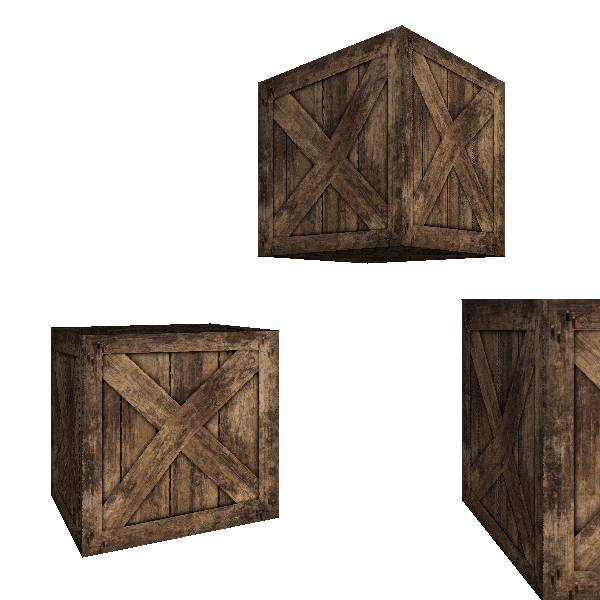 The crates look relatively OK, but if you pay close attention to the diagonal planks, it’s clear they look slightly deformed.